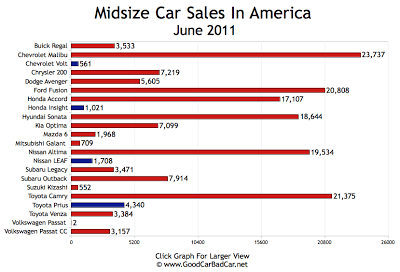 The Chevrolet Cruze, the model you already know to be America’s best-selling car in June 2011, is clearly going to be the best-selling car in its small car segment. 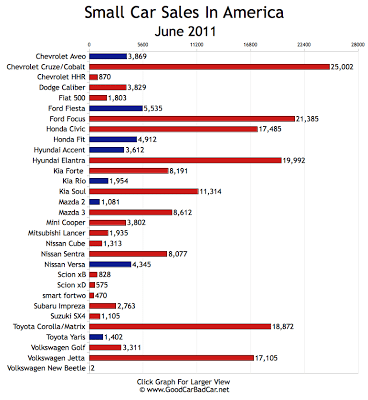 As we await release of the 2012 Sonic, sales of the Chevrolet Aveo dropped 33% in June. At this time last year the Ford Fiesta was just getting into gear. Thus, a sales improvement of 438% isn’t surprising. 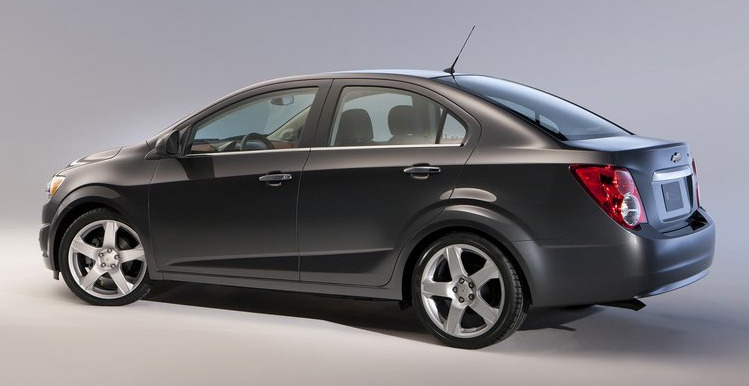 The Focus is the far more successful Ford, anyway, as sales rose 41% to 21,385. The Focus still trailed the Cruze by some measure, and that’s without Chevy offering a hatchback variant as Ford does with the Focus. Year-to-date, the Cruze is nearly 25,000 units ahead of the Focus. Behind the Focus, but ahead of the Honda Civic and Toyota Corolla, you’ll find the Hyundai Elantra. 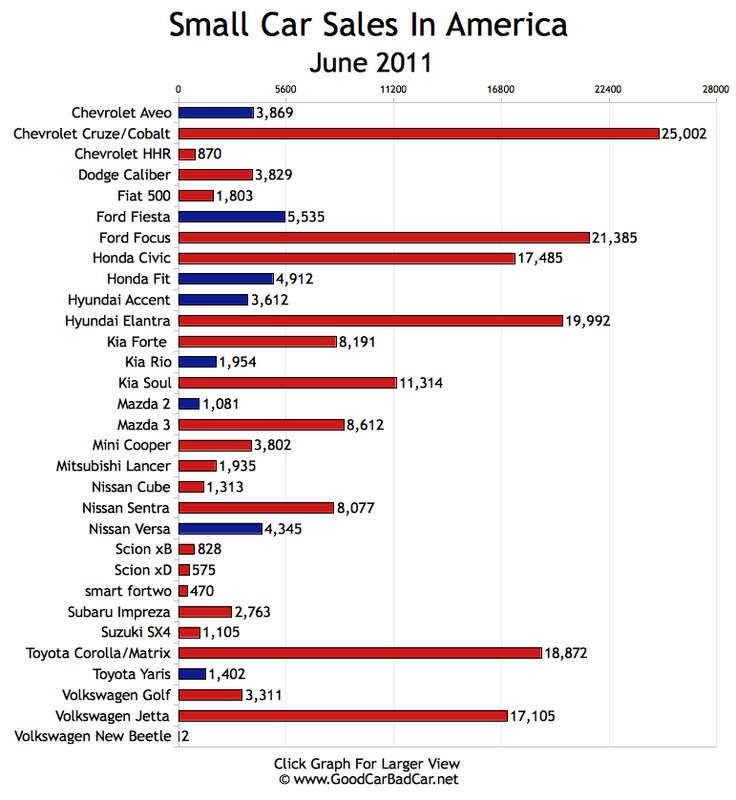 Sales of June’s most popular Hyundai climbed 40% even as the new-to-market 2012 Accent fell 22%. 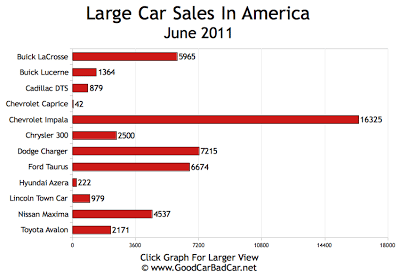 Trailing the Chevrolet Malibu, Toyota Camry, Ford Fusion, and Nissan Altima was the Hyundai Sonata. Ahead of the Accord the Sonata may’ve been, but its gains were slight at just 5%, less than the year-over-year increase in the overall size of the U.S. new vehicle market. True improvement was achieved by the Buick Regal which was, as you’ll recall, newly introduced at this time last year. Regal sales were up 1001% in June. The Kia Optima also posted huge gains, up 573%, and the Mitsubishi Galant of all things was up 76%. No other mainstream midsize car did any better than the Nissan Altima’s 23% push. 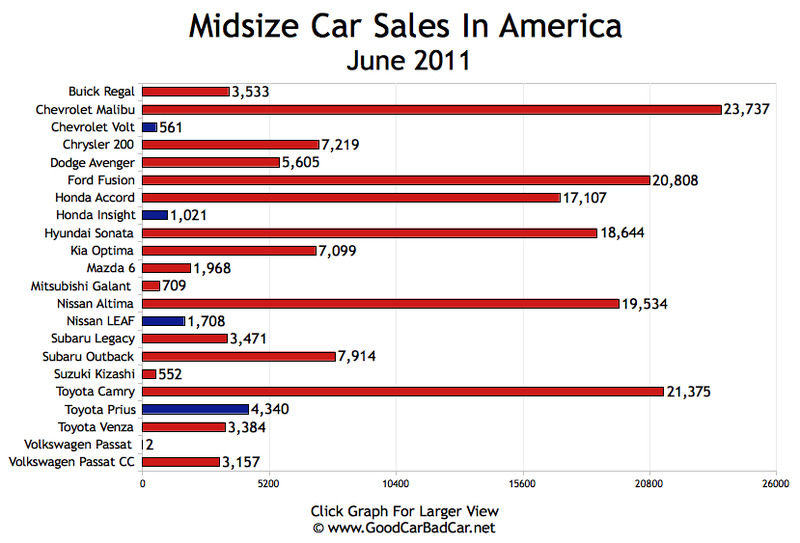 You’ll notice a new entrant in the large car chart below. The Chevrolet Caprice, sort of a reincarnated Pontiac G8 police car from Australia, found 42 buyers in the United States in June. Could this have anything to do with Crisswell Chevrolet in Maryland? Who cares – you won’t be getting your hands on a Caprice in the near future. Buyers of big Chevrolets have no problem flocking to the value-oriented Impala, anyhow. Sales were up 13% in June. The Impala, priced from $24,495, more than doubled up on the next-best Dodge Charger, a car that’s at least $3000 more expensive. In fact, if a big traditional car is what you want, you won’t find anything cheaper than the Impala. The $33,195 Toyota Avalon is only $1400 less than a BMW 328i, for goodness’ sake. Sure, they’re chasing different customers, the Avalon and 3-Series. But, ummm… if I may be so blunt, who exactly is Toyota chasing? 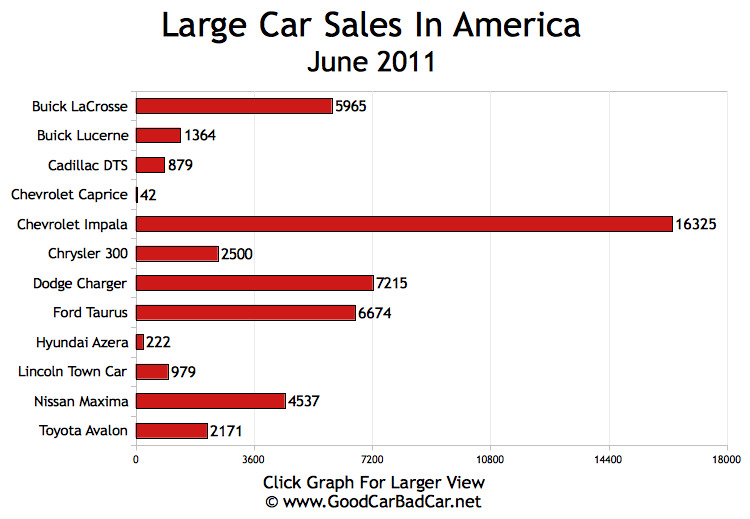 Avalon sales fell 23% to 2171 in June 2011.